This October, schools around Australia are getting the kids in the kitchen to help bake their world a better place! Are you a teacher, parent or member of your school or student council? Then why not join other schools this spring and hold a cake stall or classroom v classroom bake off for Red Cross. Fundraising for a good cause is great for children, helping them develop compassion and a sense of community while also learning skills like working in a team. You could even make your event a healthy bake with yummy carrot cake, crunchy muesli bars or tasty zucchini slice. Check out our healthy baking tips and hints. Register your school fundraising event today! 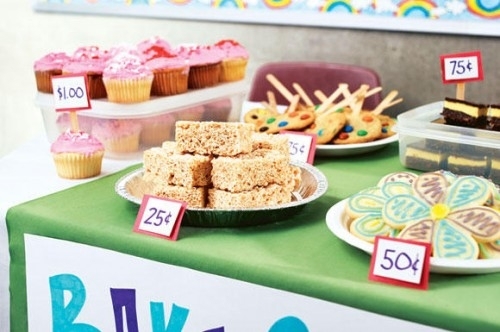 Why fundraise at school with Big Cake Bake? Big Cake Bake helps encourage students to think about broader social issues and feel empowered to make a difference. When students, teachers and parents work together for a cause outside the school, it helps children understand what being charitable is all about. Working together to hold a Big Cake Bakes teaches collaboration, teamwork and simple business skills while also developing understanding and empathy for the people you are helping.